Our Ladies Cornwall Boots are made using pure, luxurious sheepskin, meaning that they offer the ultimate in both comfort and warmth! They're only available in whole sizes, so if you are between sizes, we recommend you order a size down. 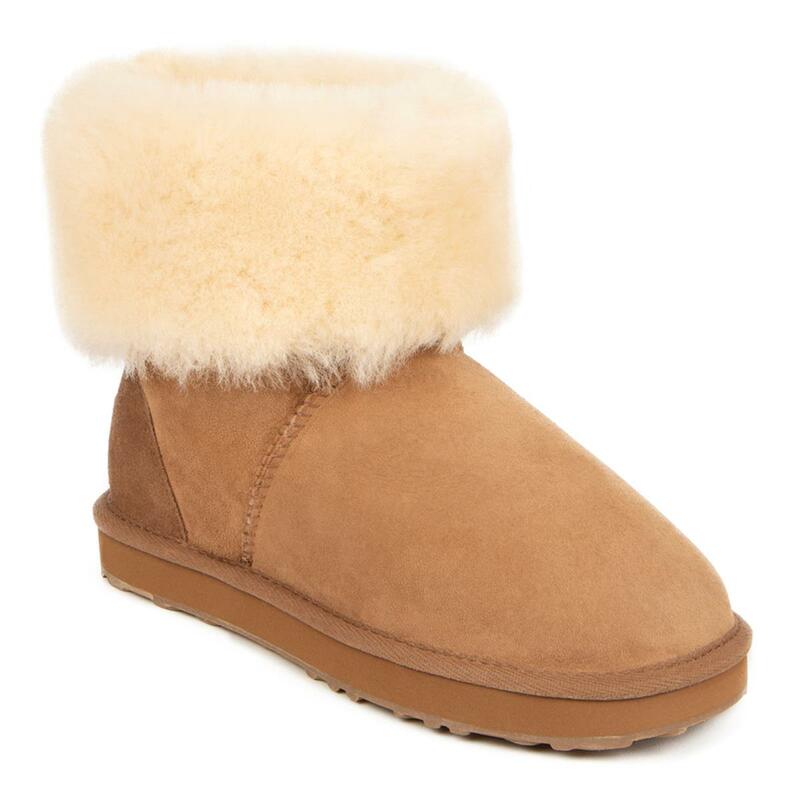 These sheepskin boots have a rubber outsole and can be worn either rolled up or down, measuring approximately 22cm or 18cm in height respectively.